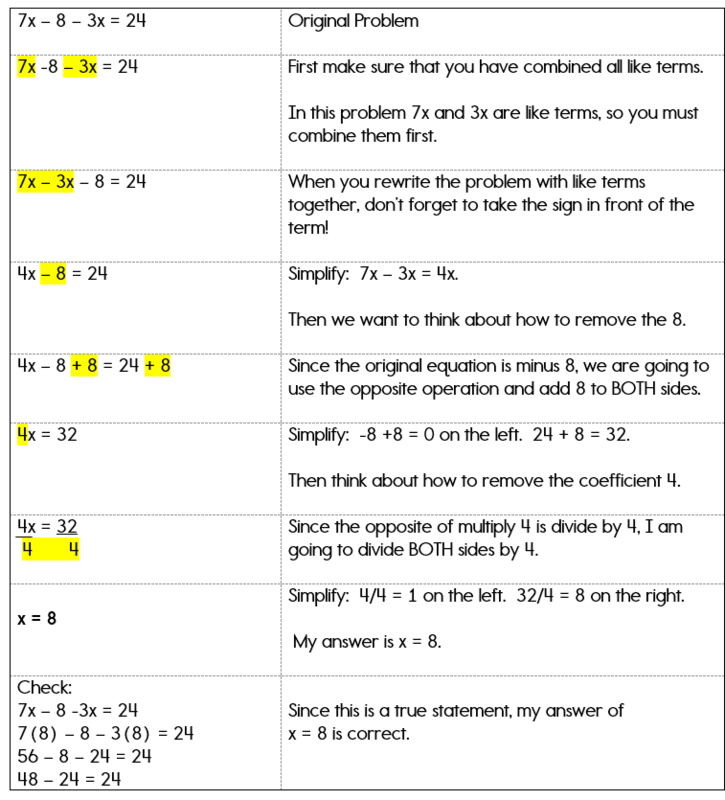 Easy to understand explanations on solving two-step algebra equations. 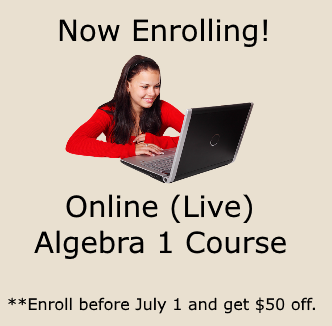 Now that you know all the rules for solving one-step equations, solving two-step algebra equations will be a piece of cake! 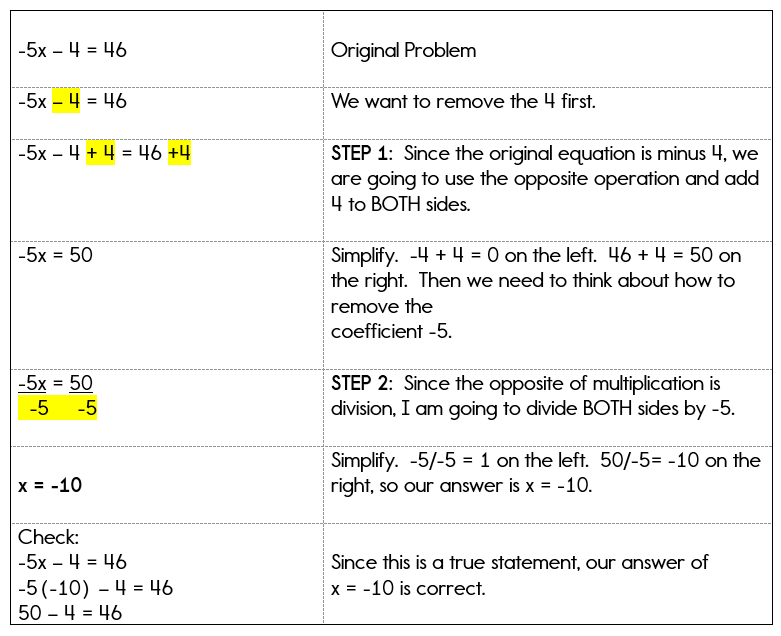 You will need prior knowledge of solving one-step equations in order to understand this lesson. 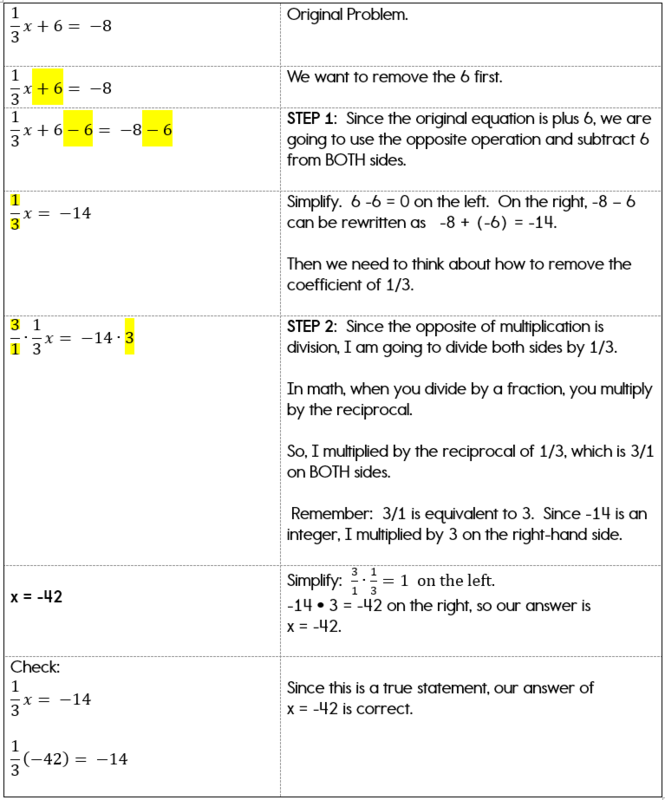 There are 5 examples to this lesson, so make sure that you keep scrolling down to learn how to solve all types of two step equations. You'll even find a couple of video lessons to help guide you through this process. Notice that in order to get x on the left hand side by itself, (x = ) we need to remove the 3 and the 2. Therefore, this equation will involve two separate steps. Remember that you must use the opposite mathematical operation in order to remove a number from one side of an equation. Always remove the constant first using addition or subtraction. 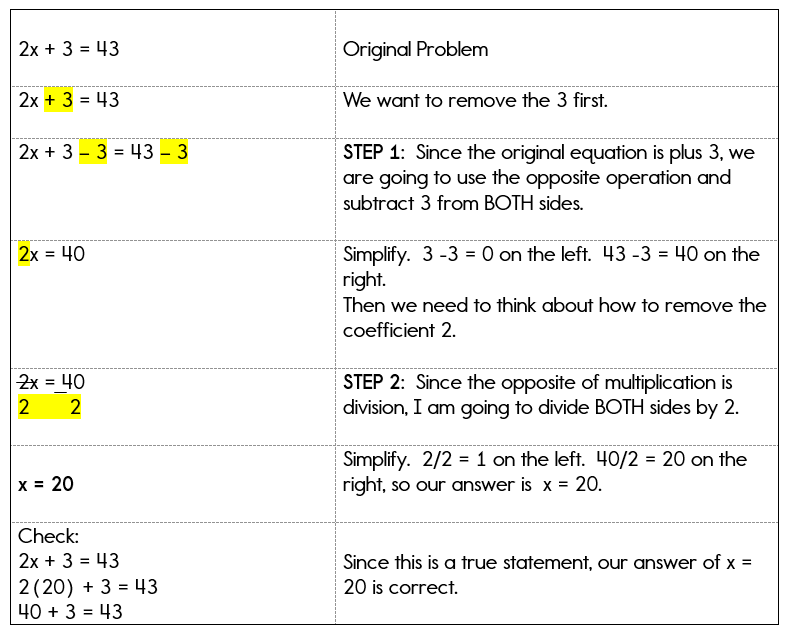 Your second step will be to remove any coefficients or divisors using multiplication or division. Let's solve this example together. Notice how two separate steps are involved in solving this equation. Just in case you are still confused, we'll look at another example similar to this one. Remember to focus on how there are two steps that are used in order to find the solution to this equation. Are You Still Having Trouble Solving Equations? 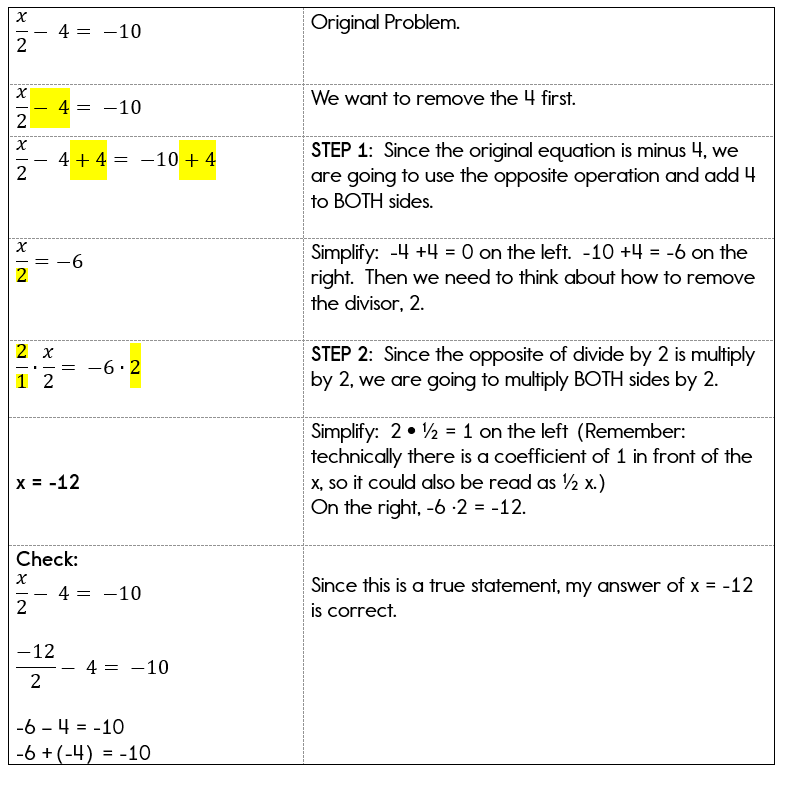 Try the FREE Solving Equations Unit in the Algebra-class E-course. Not only can you watch video lessons, you will have access to the practice worksheets, answer keys, quizzes and tests! The next two examples will demonstrate how to solve two-step equations when the coefficient is a fraction or when you have a divisor. Let's take a look! I know you are feeling pretty good about this, but let's keep going! Ok... one more example! This example involves an additional step before starting the two-step process. Wow! You did it! You just applied two different rules for solving equations in order to solve two-step equations. I know you are feeling better now! As you being studying Algebra, many problems can be tricky. 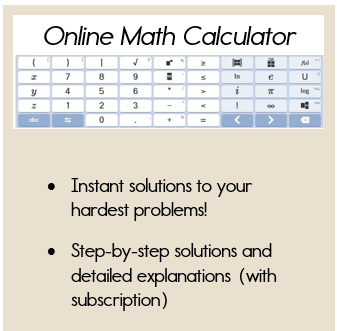 Use this Algebra calculator to check the answers to your homework problems. Just type in your problem and click "solve".